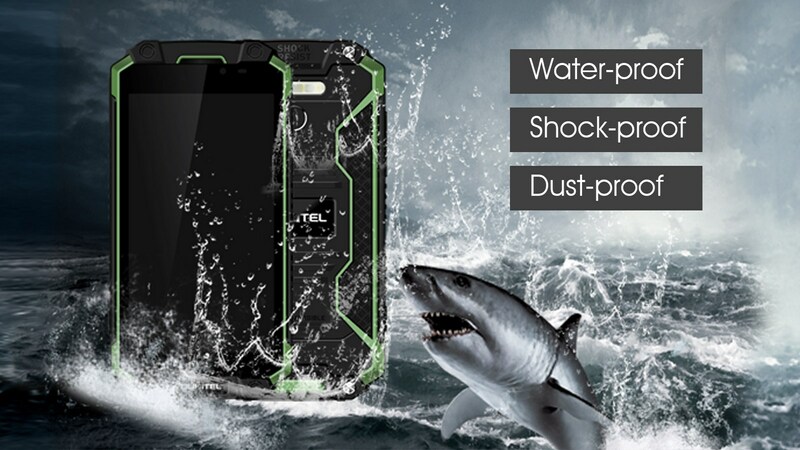 As the world’s largest battery tri-proof smartphone, K10000 Max is surely leading the real IP68 grade water-proof, dust-proof and crash proof. Here we have got a video showing its unbelievable waterproof and dust proof in lime water and cement water. K10000 MAX is put into a tank, pour quicklime powder and water in it. After chemical reaction, K10000 MAX is bearing not only water, but also heat and corrosion. We already know that lime powder meet water will create heat, the K10000 MAX protected itself by turning off by itself due to the over temperature protection process in system. K10000 Max still works perfectly after soaking in lime water, cement water and shower. The appearance is not damaged too because it is using military grade material for its body. OUKITEL K10000 MAX is a exquisitely well designed rugged model, but also gets powerful specs. It will pack a 5.5 inch FHD display with Gorilla Glass, MT6753 octa-core chipset, 3GB RAM, 32GB of storage.16mega pixel rear camera, 13megapixel front camera, 10000mAh for everlasting use with 9V/2A fast charge, rear fingerprint sensor, and Android 7 OS. Available in two colors, green with black and total black, K10000 MAX is planned to go to market by early September. OUKITEL official already started to give bonus for its presale by giving away coupon codes and chance to buy at half price on its official website.